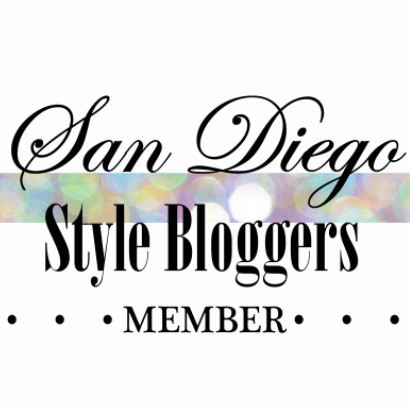 Hello San Diego Style Bloggers! In an effort to revive the site AND involve more bloggers we are looking for more contributors! Content Contributor: Submit content that would be helpful and/or fit our blogging community (i.e. fashion, beauty, San Diego hotspots, etc) for the site. Contributor will submit content for review and if approved will be posted to SanDiegoStyleBloggers.com (with credit to the content creator) by our Content Editor. [Unlimited, submit content ] *there is no deadline for this one, you can submit content for review as you please. *If interested, please email us at SDStyleBloggers@gmail.com and on the subject line please put the title of the contributor position you are interested in by July 7, 2014, we will get back to you shortly thereafter. In your email please include your name, your blog, and your information. As of July 7, 2014 blogs that don't have our SDStyleBloggers button (old or new button) on their site will be removed from our blogroll. If you are looking to be added to the blogroll, please email us at SDStyleBloggers@gmail.com with the title "Add me to the Blogroll". Sorry if you have emailed us in the past and weren't added, we now have someone to go through these requests and are asking that you re-request to be added. In the email please include your name, your email address (if different from where it's coming from, your blog, your instagram and twitter handle, and confirm that you reside in San Diego by telling us what part of SD you live in. Also acknowledge that you follow us on all of our sites (Instagram, Twitter, like us on Facebook by saying "Following all the social media sites". We will try to follow you back in everything as well. Stay tuned as we have an awesome meet up lined up. We will share the details when we have everything down!